Ecovative and Danielle Trofe at World Maker Faire- limited edition GIY kit available! Ecovative, an upstate New York biomaterials company, invites the public to experience Mushroom® Material technology first hand at the 6th Annual World Maker Faire in New York City. Visitors of the “Grow It Yourself!” booth will learn how to create their own projects and products with this Earth friendly material, and can even take home a limited edition Maker Faire GIY kit- complete with the Maker Faire Mascot mold to grow the material in! 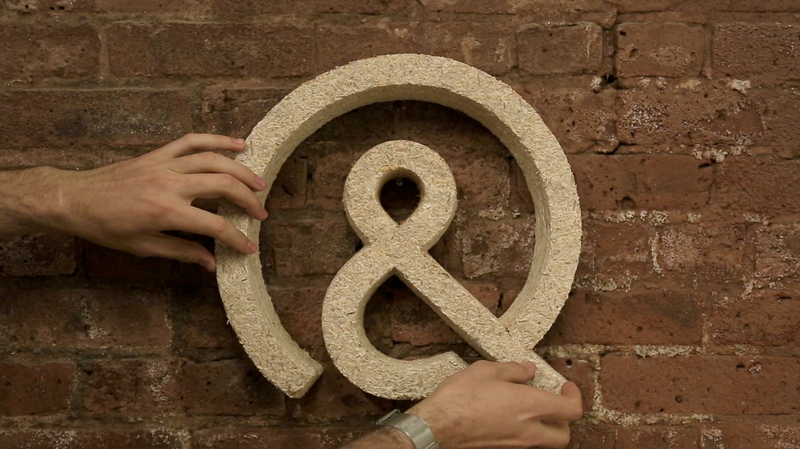 Ecovative uses mushroom tissue and agricultural wastes to create a safe foam-like material that is completely natural. To date, the company has successfully commercialized Mushroom® Packaging, a protective packaging product, and Myco Board, a toxic free engineered wood alternative. The company’s newest product is called Grow It Yourself, and it enables anyone to purchase the raw material and create with it at home, in the classroom, or in a studio. Successful projects have been appearing all over the globe, and Ecovative is excited to share this revolutionary material with the attendees of the World Maker Faire. Makers from Ecovative will be at the “Grow It Yourself!” booth to demonstrate how to create successful designs, including how to use 3D printing, found objects, and maker skills to work for your design. They will also demonstrate the benefits of working with sustainable materials, and enable attendees to get their hands dirty by playing with living Mushroom Materials. Exciting projects will be displayed at the booth, including a showcase from Danielle Trofe, of Danielle Trofe Design. Trofe has successfully commercialized Mush-Lume lamps and Mush-Bloom planters, both grown from GIY Material, and is an expert at creating with Mushroom Material. Please join Ecovative and Danielle Trofe at the Maker Faire to celebrate and explore creating with materials that are good for people and the planet. Shiro is an appealing stool, designed with the innovative Mushroom Material in mind. It is the outcome of a research and design process, which questioned the integration of a new material in furniture design. A material that uses the growing process of mushrooms to create new products. It sounds like an absurd idea, but the principle is simple yet clever: by bringing agricultural waste together with mycelium (the substance in the fungus out of which mushrooms emerge), a natural reaction takes place. The mycelium starts growing and will act as a glue that bonds all the particles together. When the growing is completed, the material is dried to extract all the water and make the part stronger. The result is a 100% natural and biodegradable product. This bachelor project at Howest (Belgium) explores the properties of this innovative material in several tests and transfers the conclusions in the design of a stool. One of the design-changers is the discovery of using a wooden insert to improve strength. This conclusion was deducted from a material testing phase where six samples were produced with different thicknesses and shapes of the insert. An ideation process followed and delivered four concepts, from which one was chosen for further development. The outcome is a stool that is a perfect marriage of old craftsmanship and clever microbiology. By combining sturdy wooden legs with an ergonomically moulded seat, the properties of both materials are used at its fullest. The solid wooden structure is designed to absorb all the forces, while the mushroom seat is moulded to improve comfort. This moulding process is not only completely natural, it also doesn’t have any waste material and because production steps are reduced, the process is cheaper than conventional methods. The combination of natural materials creates a good-looking contrast which fits in a wide range of interiors. With sustainability and efficiency being two key values in this creative process, this stool is designed for flat packaging. By decrease the unused volume in the package, the ecologic and economic impact of transport is reduced. 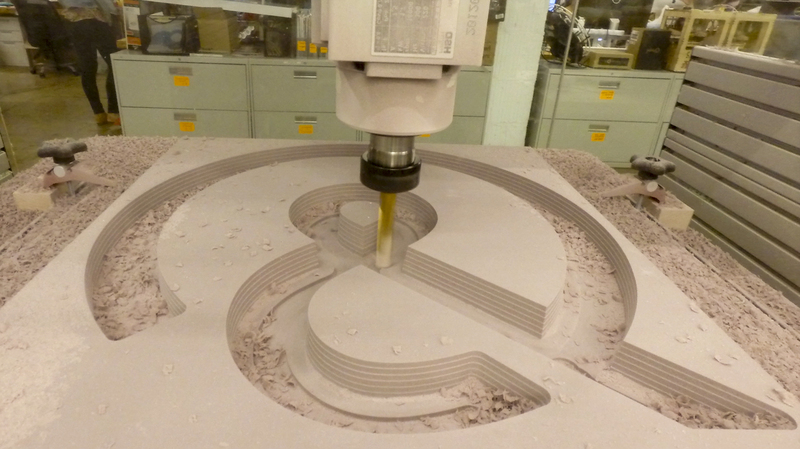 To make this way of packaging a success, self-assembly by the end consumer is preferred. The stool is designed to make the assembly very obvious. The slots in the front leg easily slide in the slots in the back leg. Next, the top plate is fixed with screws to the legs. The last step consists of securing the seat, which has a moulded insert inside, to the top plate with three more screws. The outcome of this design process is an appealing stool that is designed with the innovative Mushroom Material as a key element. 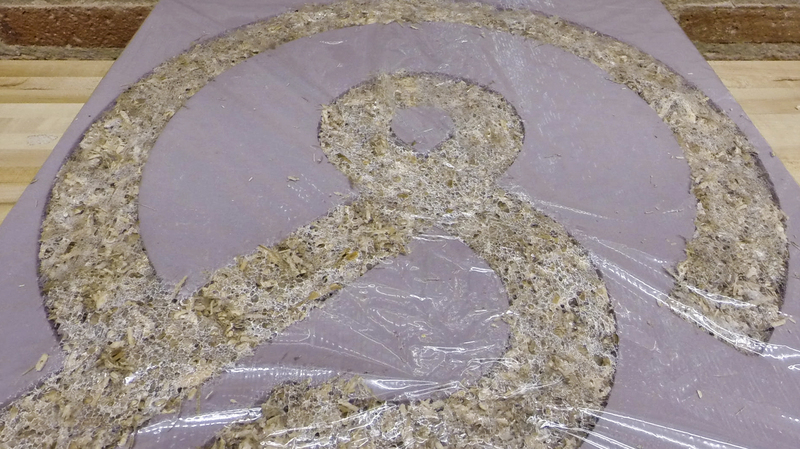 By bringing agricultural waste and mushrooms roots together in a mould, a natural process takes off. In 5 days, this grows into a finished seat. Shiro combines this wonderful piece of microbiology with sturdy wooden legs. The result is a stool with a solid structure and cushy seat that is easy to assemble and efficient to transport. Shiro demonstrates the potential of this material in furniture design and can be a solid base for further improvement. Interested in Becoming an Ecovator? Are you interested in joining Ecovative’s dynamic, fun, and motivated team? If you haven’t had a chance to check out our Careers page lately, you should make your way over there right now to see what roles we’re currently hiring for (it’s about 4 positions right now!). MJ: What would you say are the core characteristics of an Ecovator? AH: The characteristics that we have identified are ‘wildly impassioned, personal resilience and adaptive to change, creativity, team player, curiosity, and personal discipline.’ We found after observing employees that were high performers across all departments, that these were common in people who tend to do well at Ecovative. MJ: What positions are we currently hiring for, and what jobs are on the horizon? AH: The current positions can be found on our careers page. There’s nothing concrete at this time for future positions, but I can imagine we’ll have a need for more people on our production team to help scale our 2nd facility and our engineered wood product. The candidates for these types of positions would ideally have a familiarity with presses and wood working equipment. We potentially could hire more support surrounding the tech development side of our engineered wood product, as well as looking at market facing/ sales positions for this product. MJ: What do you look for in a candidate? AH: Generally speaking, someone that takes initiative to explore their area of experience or expertise. Someone that has practical, hands-on experience and isn’t afraid of hard work. A lot of the time we’re looking for someone that gets really excited about what we do. It’s not a requirement, but Ecovative is a unique and often challenging place. If you can be excited about why you’re here and remember the big picture of what we’re working towards, you’ll likely just be happier as an employee, and more productive because of that. MJ: What hobbies or extracurricular activities stand out to you? AH: Naturally people who enjoy being outdoors and spending time in nature tend to fit well with Ecovative. We’ve found that these employees have an appreciation for our goal and tend to align with our mission of producing healthy and sustainable materials. More specifically, some people at Ecovative are really into mycology– they’ve experimented with growing their own mushrooms or go on mushroom walks in their free time. For our engineers in particular, we like to see that they enjoy building things- maybe being on the robotics team or even making the cabinets for their kitchen. Someone who enjoys creating. Having hobbies in general is a good sign that you like to stay busy, take an active approach to your interest, and that you want to further develop yourself and learn more about areas you’re excited about. MJ: What can someone expect when they come in for an interview at Ecovative? AH: They can expect that we’re going to be friendly and laid back, like we always are. And that we’re going to test their knowledge. There will be a number of people from the organization attending the interview because all of our roles are so collaborative, and the employee will be working with many different projects and teams. It is almost a never one-on-one interview, and the interviewers are going to do their best to make sure you have the skills and mindset to succeed in the role. They may ask you some unique questions, but we’re always looking to find out if you have the skills needed for the job. And you should expect to have plenty of time to ask any questions you may have- what it’s like to be here, about our products, etc. Where we’re different than a lot of places is that we really just want to know that you can do the job and that you really want to do the job. There’s no perfect resume or hobby or interview answer. MJ: We’ve had a number of employees that have relocated to work for Ecovative. Can you say anything about that? AH: We’ve had many employees who didn’t live in New York or even in the Northeast region when they accepted positions here. We’re thrilled and flattered that people want to work at Ecovative so much that they would be willing to do that. Generally people find that the Capital Region is a great spot to live- you’re close to New York City, Boston, and the Adirondacks. This location provides quite the experience and combination of places to visit, which many people find appealing. If you have a background in science, manufacturing, or engineering and don’t see a job posting that currently fits, we are always accepting applications. Check the Careers page to access the application and see up to date positions! This past March, Steelcase’s Materials Chemistry team (part of Global Environmental Sustainability team) took a trip out to Cherry Creek Elementary in Lowell, Michigan to spend the morning with Mr. Audia’s 4th grade science class. He periodically brings in guest speakers to talk about their careers and give his students an idea of the many different paths they could choose in life. What an awesome 4th grade teacher, right? We spoke about our Materials Chemistry work from an innovation perspective by showing photos of people we believe to be innovators and having the students guess who was in each image. Thankfully, everyone knew Thomas Edison. There was also one die-hard Apple fan who picked out Steve Jobs, but most students couldn’t guess why he was an innovator. When we explained that he innovated the way people listened to music by inventing the iPod, nearly making CDs obsolete, one student asked, What’s a CD? Come to find out, no one in the class even knew what a CD was anymore… man we felt old! And of course, every hand shot up when we showed Taylor Swift! Finally, we showed a picture of Eben Bayer and Gavin McIntyre, co-founders of Ecovative Design. Then we conducted a hands-on experiment with the Ecovative GIY “Grow It Yourself” Mushroom Material kits to allow the students to see how these two were innovators. 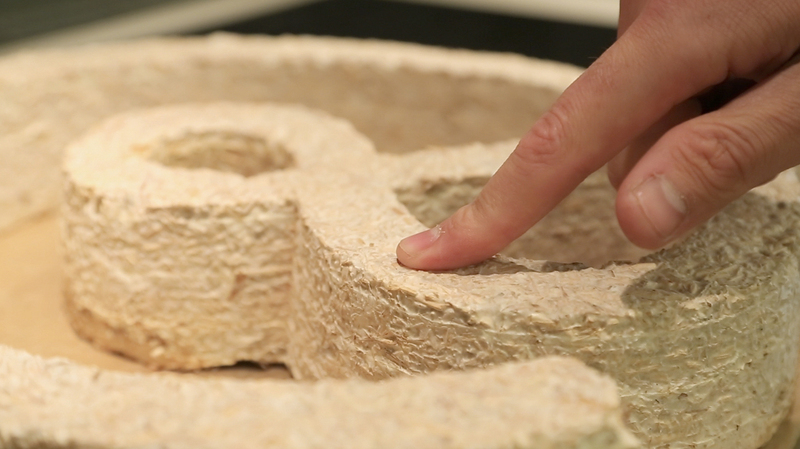 Ecovative uses agricultural byproducts in combination with the root structure of mushrooms, called mycelium, to grow Earth friendly materials like packaging and engineered woods. Each student had the opportunity to get their hands on the raw material and then create their own toys with it. They started off with bags of dehydrated material in front them. After adding water and flour, the students watched over the next few days as the mycelium came back to life and grew out to be white and strong around the corn stalks and husks in the bag. Once fully white, they took this material, crumbled it up into small pieces with their hands, and put it into little duck molds! They set the ducks on a shelf and observed the material over the next few days. Each day, the ducks turned more and more white because the mycelium was growing and binding all the loose particles together! Mycelium is similar to a natural glue or resin. The “quackers,” as Mr. Audia refers to them, are now decomposing in a glass jar filled with worms, bacteria, and moisture so the kids can see how these materials breakdown over time. Through this experiment, the kids were able to discover the power of innovation and learn about those who strive to innovate. They were able to have fun with science and see how something as simple as mushrooms can change the way we look at materials. It is our hope that experiments like these can continue to inspire the youth of today and produce future innovators. Hi everyone! My name is Florian Gregor, I am 24 years old and from Salzburg, Austria. I have been studying Forest Products Technology and Timber Constructions at the University of Applied Sciences in Salzburg. In my bachelor degree course we have been working a lot with wood materials. Due to the University I studied at, I am constantly confronted with the topic of sustainability. This year I was in a bachelor project where we had to plan a new Funeral Hall for a neighboring village. During this project we had to research about the funerary culture of different religions. Then we had to choose a topic for our bachelor thesis, which was connected to our project. I was searching for ideas to construct biodegradable and ecological friendly burial containers. From the beginning, it was clear to me that the urn had to be sustainable since it will be buried. In the process of finding a way to make the urn as sustainable as possible, I stumbled upon Ecovative Design and their unique Mushroom Material. From that moment on I knew this was what I was looking for. At first I ordered 3 GIY (Grow it Yourself) bags from Ecovative. As the bags arrived, I started to rehydrate the material with water and flour. Then I made two negative molds, one for the urn itself and one for its lid in which the Mushroom Material could grow. For the mold I used a thermoplastic material, which I processed using a CNC machine. In each of the two molds I had to drill holes into the top cover to create airflow- this is necessary for the growing process. After finishing the molds and six days of waiting (this was the time it took the dehydrated material to rehydrate), I had to tear up the white spongy mass to make it fit into my molds. I had to make sure that the molds were sterile, to prevent the growth of any other type of fungus. Because of that, I cleaned everything thoroughly with ethanol. It took another seven days before I was able to take the molds apart. In that moment I really trembled with excitement, my hands were shaking and I was completely nervous – BUT it worked out so well. Then the time came for the most important and tricky part of the process: I had to weigh the urn in its wet state, calculate and dry the mushroom urn down to 35% of its original weight. At this point the growing process of the mushroom is fully stopped. So, as you can see the Mushroom Material works perfectly for modeling a biodegradable urn. Although there is room for improvement, such as decreasing the porosity of the urns surface, I am convinced that this could be a realistic solution for the rapidly increasing problem of space. It is cheap, biodegradable, ecofriendly and its production is not too complicated. Visit http://giy.ecovativedesign.com to find out how you can make your Earth friendly project a reality! Ever think about where product packaging comes from or where it goes after you use it? Scott Shephard does. 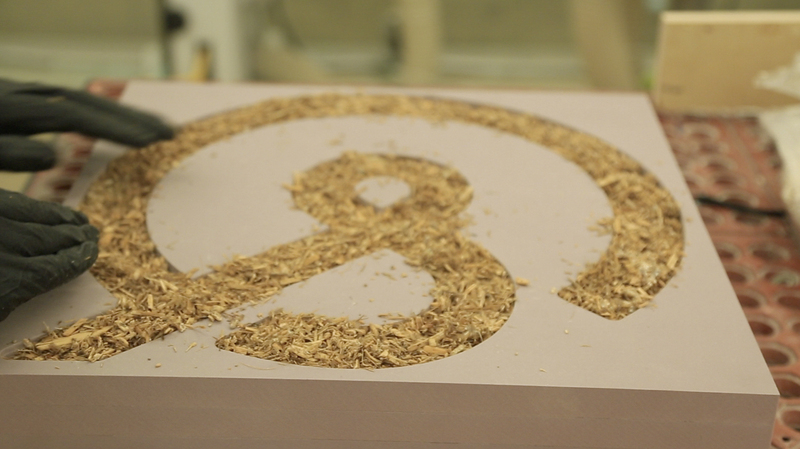 As Quirky’s “VP of cardboard,” everything we package goes through his hands. One of Scott’s biggest challenges? How to make packaging sustainable. Most materials, although recyclable, release chemicals and toxins when composted. Recycling is actually downcycling; the process reduces the quality of a material over time, until its lower-quality products are eventually incinerated or landfilled. In a world where throwaway products have become the norm, it’s hard to think outside the (cardboard) box. But what if we could eliminate the concept of waste entirely? That means designing products, packaging and systems that biodegrade and become food for our earth, instead of toxins. …And voila! You’ve got your very own biodegradable packaging. The end result is compostable, packs like styrofoam, and tastes great! (According to Scott. Please don’t eat.) Are mushrooms the future of packaging? We’ll just have to wait and see! “Around the world, more and more people are growing concerned about oil and its consequences and are moving toward new alternatives. This movement is happening at all scales, from major auto manufacturers developing biodegradable vehicles to individuals saying no to plastic bags at the supermarket. Governments are taking action too. What these governmental, corporate and individual actions have in common is a commitment to reduce our dependence on oil through post-petroleum design and technologies. Governments recognize post-petroleum design as the way to energy independence and security; corporations are adopting it to build consumer loyalty by doing the right thing for the environment; and consumers are demanding it for the health of the planet and future generations. My recent book, Post-Petroleum Design, is filled with the ideas that unite these diverse people and projects into a movement that is changing the way we make our world. In it, designers can see how their fellow creatives are using petroleum-free materials to shape bold new designs in everything from electronics to architecture. Businesspeople can learn how to manufacture products with less plastic, energy and waste. Even those outside of design and business can enjoy its eye-opening revelation of innovations from leading designers in apparel, packaging, automobiles and more. Post-Petroleum Design celebrates their successes and, for the first time, weaves them together in a compelling story. Through its pages, readers can travel the globe, visiting design studios, cutting-edge labs, and remote villages where post-petroleum designers are using everything from bamboo to bioplastics to shape a better future. Vernacular craft traditions, industrial-scale production, even the latest advances in nanotechnology, all hold secrets with the potential to lead us beyond our dependence on non-renewable resources, secrets that are now being unlocked by post-petroleum design. This post originally appeared on George Elvin’s blog. You can pick up a copy of the book through Amazon.